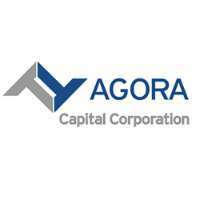 Agora Capital Corporation Pty Limited, (Agora), is a commercial funding in Australia and a Lender and Facilitator, which has extensive experience in Specialist Commercial Lending and who is recognised as a market leader for their success in structuring and sourcing of Debt and Equity Solutions. The Company have worked within SMEs for many years, as well having been employed by both Local and International Banks and as Consultants to a number of Companies and Individuals in the finance Sector. Agora provides access to both bank and non-bank funding direct from both Local and International Banks, Institutions, Managed Mortgage Funds, High Net Worth Individuals, Solicitor Funds, Family Offices, SMSFs and Merchant Banks. Agora also has partnerships with a number of preferred professional Service Providers within the Property and Finance Sector, including Legal, Accountants, Architects, Engineers, Developers and Builders. It is our vision at Agora Capital to leverage our industry knowledge, resources and intellectual property, through our relationships to create outstanding value for our clients whilst surpassing the needs of borrowers and Investors. Know more about commercial funding in Australia, contact Agora Capital Corporation today!